Fall painting projects on the horizon? Now is the time to buy your paint! 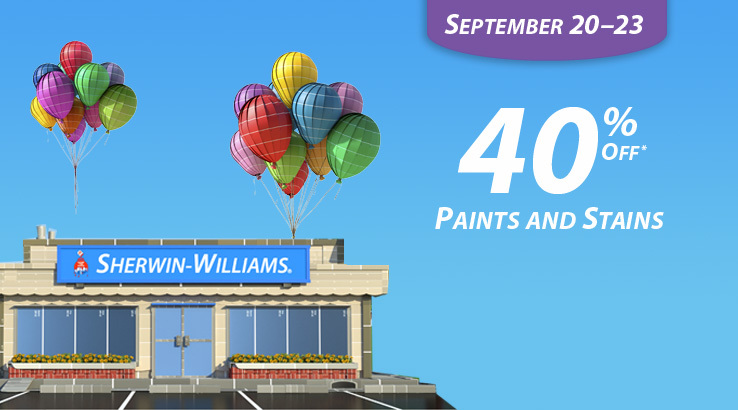 From today through September 23, 2013, save 40% on Sherwin Williams paints and stains, as well as 30% off painting supplies and 15% off wallpaper! Visit the Sherwin Williams website for details. This is the very best price that Sherwin Williams offers, and it only happens a couple of times each year…take advantage! What are you painting? And, what color did you choose?